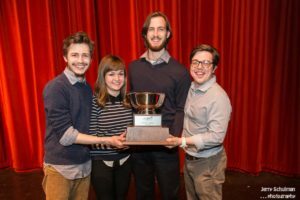 Otherworld Theatre Company, an ensemble founded and led by Columbia College Chicago Theatre Department alumni, is reprising its 2016 hit A Princess of Mars , adapted from Edgar Rice Burroughs’ classic sci-fi novel. 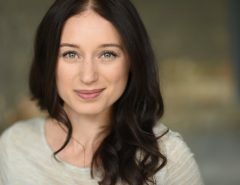 The play — directed and co-authored by Otherworld’s artistic director Tiffany Keane Schaefer ’12, a graduate of the Theatre Department’s Theatre Directing Program — runs at the Berger Park Cultural Center, 6205 N. Sheridan, in Chicago’s Edgewater neighborhood. 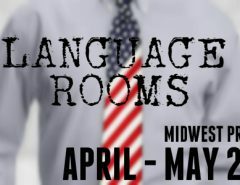 Tickets to the preview performance on Friday, March 17, at 7:30 PM, are only $7 for Chicago theatre industry professionals. The show opens Saturday, March 18, and runs through April 1. For tickets, click here. When Confederate deserter John Carter is mysteriously transported to the surface of Mars, he is forced into an epic conflict between the planet’s alien races. As Mars is poised on the brink of collapse, war-weary Carter realizes he must choose sides when the planet’s fate rests on his shoulders. 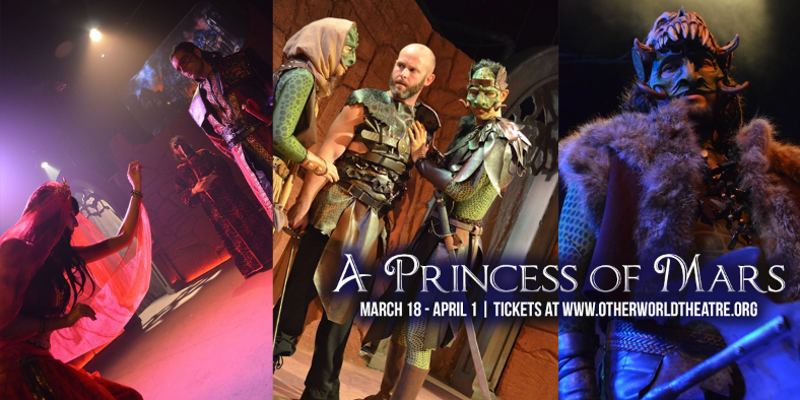 Filled with extra-terrestrial environments, epic battles, elaborate costuming and more, A Princess of Mars at Berger Park promises to whisk audiences away on an unforgettable theatrical adventure. Besides director/playwright/sound designer Tiffany Keane Schaefer (who founded Otherworld Theatre in 2012), the production employs the talents of Columbia College Chicago Theatre Department alums Shaun Hayden ’12, a graduate of the Theatre Department’s BA Program in Acting (cast member), Kai Young ’12, also an Acting BA Program graduate (fight choreographer), and Grace Gimpel ’12, a graduate of the Theatre Department’s BA Program in Musical Theatre (assistant director), as well as former Columbia College Theatre Department student Bennett Decker Bottero (cast member and dramaturg).